Welcome back to the #LoveYourHome linky, which, I know, has been a little intermittent lately. As we’re pretty much here in the summer holiday period now, I think this week’s linky will be the last one for a little while, and it will return in September with renewed energy. So, let’s make the most of this final one, and get lots of you sharing your favourite home interior posts from the last few weeks. 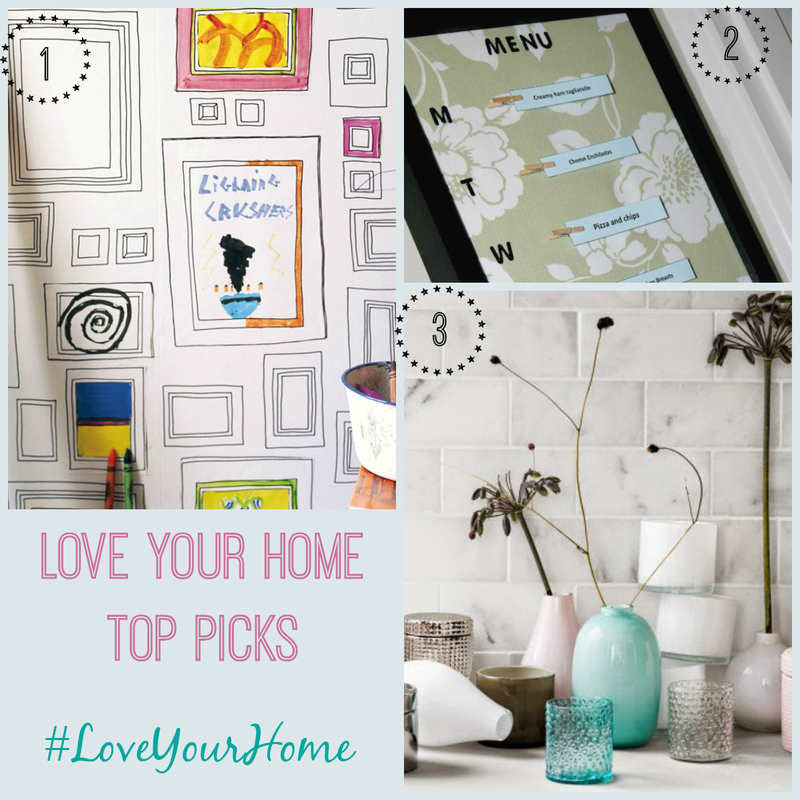 My Top Picks this week are a mix of home diy, wallpaper and inspiration so I hope you like my choices. 2. Steph from Renovation Baybee has come up with this fabulous meal planner board which I love, do check it out. Thank you very much for featuring my Menu Planner. I do get lots of comments on it.